People say my daughter, Jocelyn, looks like me. This assessment I take as a compliment. However, Joss also has mannerisms and vocal inflictions similar to mine which is flattering and frightening. I’m not shocked by this behaviour. I assumed I would be her primary role model, but I’m overwhelmed by the totality of it. My good and not so good behaviour is being re-enacted on a regular basis. When Joss is angry at her little sister Megan she disciplines her the same way I discipline them. I’m usually in the kitchen listening to them argue and thinking, I don’t really sound that bitchy do I? Then I self-reflect and try to be the mother they need and deserve. Luckily, Joss has adapted two of my favourable habits. The first is running. I took up running when I was 36. Joss watched me return sweaty and panting, proud of the distance or time of my run. Eventually Joss joined the cross country team. The picture above is her at a meet. She came in dead last because she felt it was nice to let other girls win. The running didn’t last but the second habit, writing, has remained a steady constant in Joss’ life. She and her sister write stories and illustrate them. They often become over-involved with cover pages and titles to finish stories, but what writer can’t relate to that! “I’m nearly done Mommy, I just need to finish this,” is her response. Jocelyn proudly tells everyone her mother is a writer, a title I’m still adjusting too. However, I have absorbed her enthusiasm. I’ve stopped correcting her and embraced the idea that she is right. She can inspire me as well, you know! My baby girl is watching me but when I look at her I see a brilliant bud about to burst forth. Her idealism about life renews mine. She has much to offer and this world needs more people full of hopes and dreams. There is a constant push in schools for parents to read with their children, which I agree with, but I would humbly add we need to raise writers too. 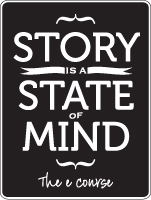 We need more stories that inspire and motivate and other times we just need to escape a complex and confusing reality.